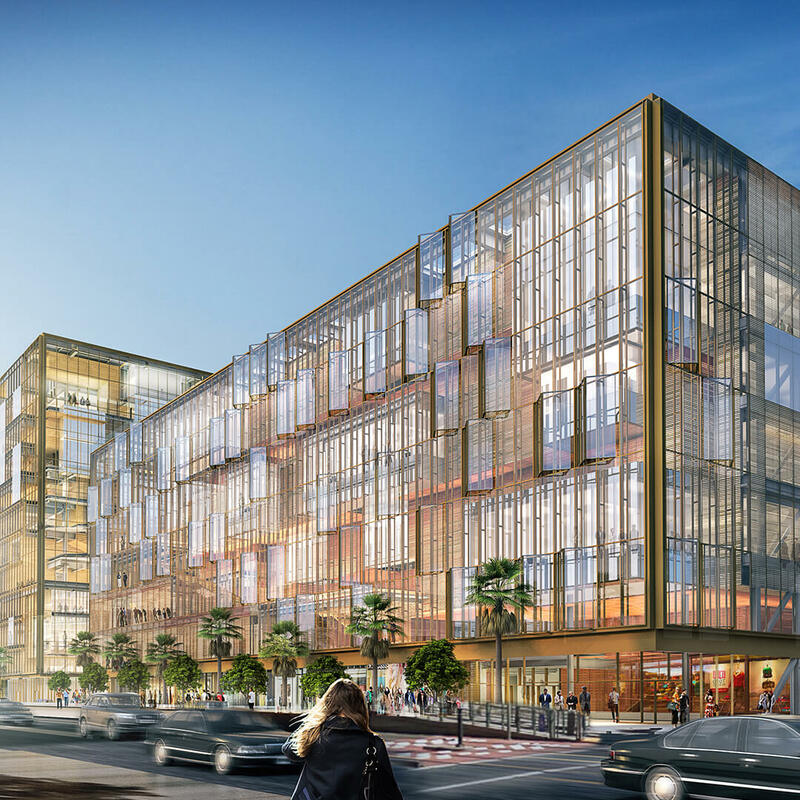 An urban campus for the next chapter. 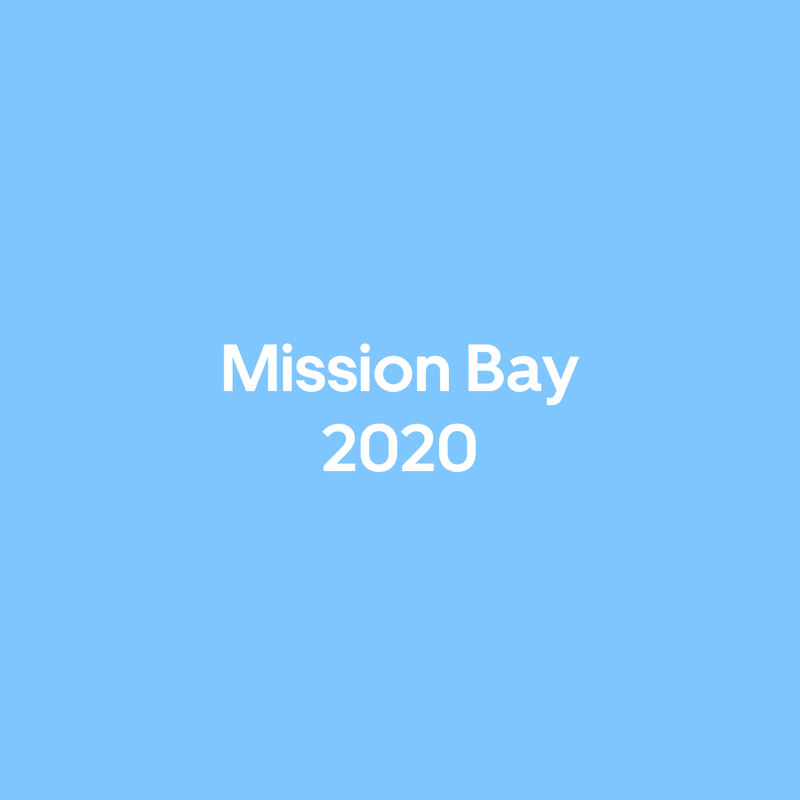 In 2020 Uber will launch their new headquarters at Mission Bay in San Francisco. 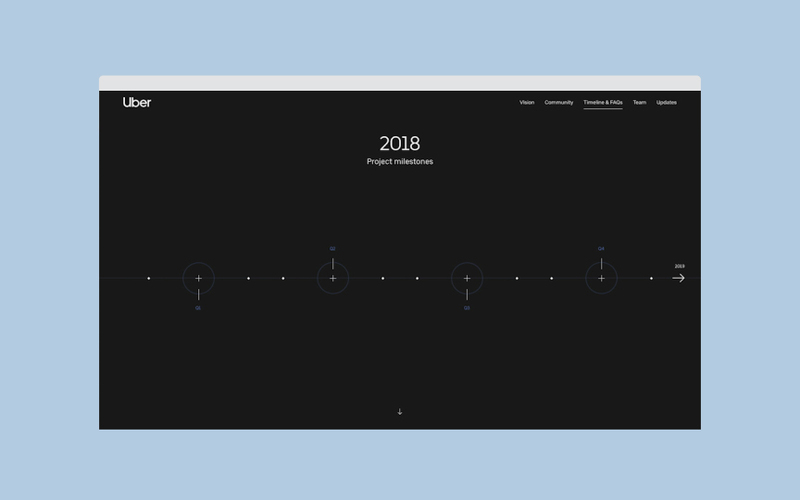 In order to share their vision and devotion we created a clean modern site which features full-bleed images of the new campus and an interactive timeline that allows users to explore the project and learn more about each milestone. 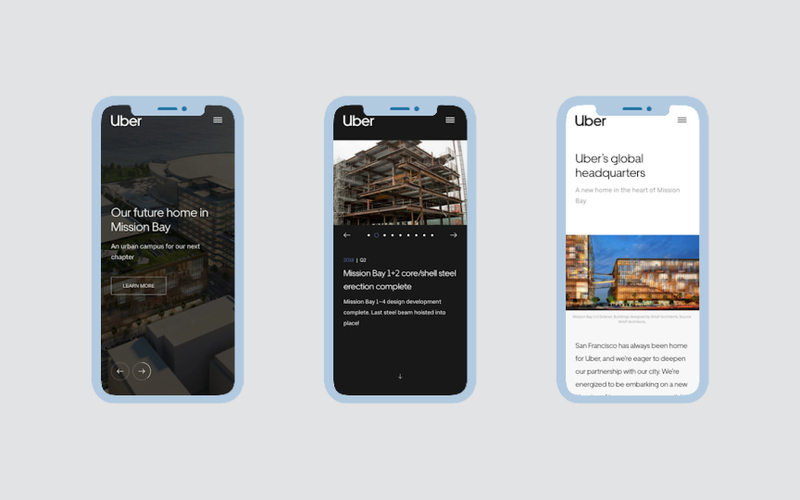 Uber's conscientious efforts to create this space with the Bay Area first in mind needed to be demonstrated. 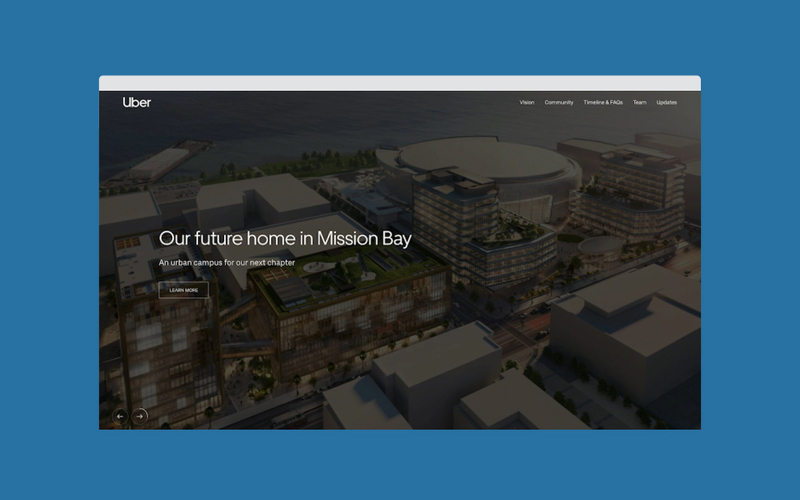 We leveraged a minimal layout in which the information can breathe so this complex project can be digested easily.